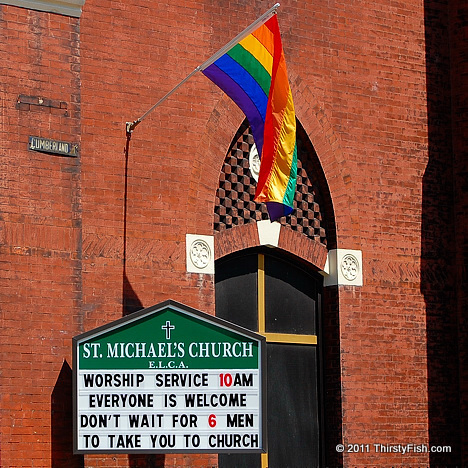 This photograph was taken in front of the St Michael's Lutheran Church E.L.C.A. Is it annoying or is it cute? Does it matter? It is in the City of Brotherly Love after all.